Juanita Dillahay Proctor age 56 of Goodlettsville passed away on September 18, 2018 at her home. She was born on August 29, 1962 to the late Wallace Porter and Anne Marie Dillahay in Nashville and was a graduate of Jo Byrns High school in 1980. She worked for many years for Lansden, Dorth & Davis Law Office as an Administrator. Juanita married the love of her life on December 12, 1980, William Proctor. Her and Billy would be blessed with two sweet daughters, Amanda and Kristen. Juanita had a beautiful smile, gorgeous baby blue eyes and a laugh that was as contagious. After the girls got older, “Saturday Night Dinner” was established. Even through their busy schedules they would make time every Saturday Night to come together as a family and fellowship together. It was this bond that kept the family close. Juanita wanted to make sure that they never lost touch of what truly mattered in life. In the early spring, Juanita would plan out her garden planting basil, tomatoes, squash and watermelons were always on the list. She loved going to the beach, rather it be Destin, Virginia Beach, Panama City or Pensacola, it was Juanita yearly tradition to head to the beach. She loved when the family joined when their schedules permitted, however, when Billy went you could almost guarantee that a storm would come. The last few trips Juanita made she had the pleasure of Kristen joining her and together made memories that would last a lifetime. 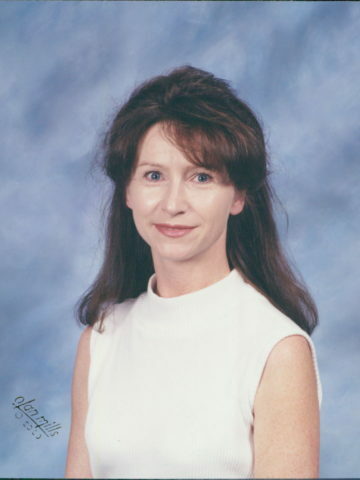 Juanita is survived by her loving and devoted husband, William “Billy” Proctor; daughters, Amanda Jo (Kyle) Bryant and Kristen Ann Proctor; brothers, John Dillahay and David Dillahay; and sisters Mary Anne (Wayne) Anderson, Carolyn Dillahay, Patricia (Danny) Harris, Teressa Vanatta, and Sandra Thompson. Nita will be missed by all who knew her. She is gone way too soon. I had the pleasure of knowing her and working with her for the past 23 years at the law firm. I am so sorry for your loss. Heartfelt sympathies to Nita’s family. I’m so sorry for your loss. I was so sad to hear about Nita, I had the pleasure working with her at Waller Lansden. My prayers for you and your family. Nita was a beautiful sweet lady. I am so sad and regret not being with you ALL today Praying for All the Familys Peace and Security in Future. Billy, I am so sorry for your loss. I pray God will comfort you during this time. Billy, I was so sorry to hear about Nita. I had worked with her at Waller Lansden for many years and she was such a sweet, caring person. Condolences to the girls and the Proctor family.